Get your times down or starve! Page 14 ► It should be WORK INSTEAD OF HEADING OUT. 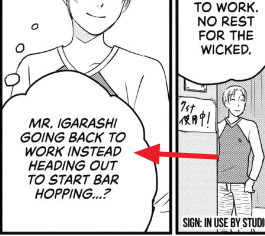 This on Vol 2 Chapter 2 caught my attention. Page 10 ► feels like could be "you can't just not make"